We want you to be able to relax in style at Bella Vista Apartments. So our community features a wide array of amenities to help you unwind. Perfect your backstroke in the lap pool set in our beautifully landscaped courtyard or take advantage of the modern cardio equipment in our 24-hour fitness center. Come see why the resort-inspired amenities at Bella Vista Apartments are the perfect complement to your active life. Bella Vista offers all residents access to the Parcel Pending package delivery service onsite. When enrolled in the service, your packages will be delivered to your secure storage locker with access codes and updates delivered directly to you by text or email. Are you ready to see what Bella Vista Apartments can do for you? 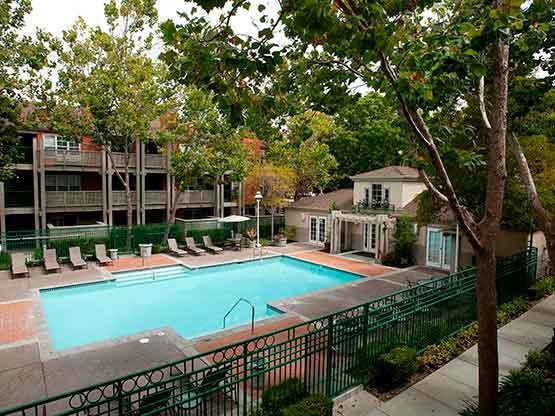 Call us today to set up your personalized tour of our Santa Clara apartments for rent.